72 Marlborough is located on the south side of Marlborough, between Berkeley and Clarendon, with 70 Marlborough to the east and 74 Marlborough to the west. 72 Marlborough was designed and built ca. 1866 by architect and builder Charles K. Kirby, one of five contiguous houses (72-74-76-78-80 Marlborough) he built at the same time for speculative sale. The five houses form a symmetrical composition, with 72-74 Marlborough and 78-80 Marlborough each being a pair of symmetrical houses with bays, and 76 Marlborough with a flat façade in the center. The land on which 72-80 Marlborough were built was part of a 220 foot parcel Henry Lee, Jr., and Jonathan Amory Davis purchased from the Commonwealth of Massachusetts on November 14, 1863. J. Amory Davis died in May of 1865 and his interest was inherited by his daughter, Ann Wainwright Davis. On October 6, 1865, she transferred her interest in the eastern 160 feet to Henry Lee, and he transferred his interest in the western 60 feet to her. On October 14, 1865, Henry Lee, Jr., entered into an agreement with Charles Kirby to sell him the 160 foot lot, subject to Charles Kirby’s agreement to build nine houses on the land. Ultimately, Charles Kirby built five houses at 72-80 Marlborough on the eastern 89 feet 9 inches of the land, and on October 21, 1871, Henry Lee, Jr., sold Charles H. Joy the remaining 70 feet 3 inches to the west, where 82 and 86 Marlborough were built. 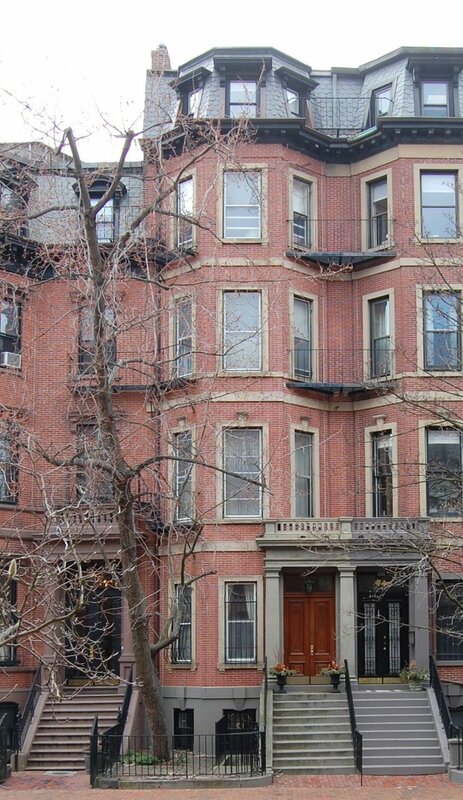 Click here for an index to the deeds for 72 Marlborough. The lot for 72 Marlborough originally was 18 feet wide. Charles Kirby built the one-foot thick eastern wall of the house entirely on this land, rather than placing half of the width on the lot to the east, where he would later built 70 Marlborough, as was the usual custom. 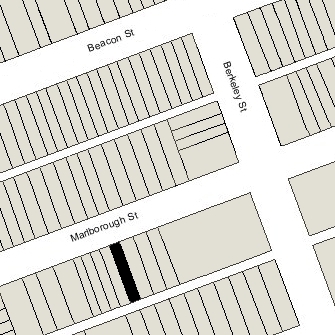 When he sold 72 Marlborough in March of 1868, he retained the eastern 6 inches, with half of the party wall on it, and on March 2, 1869, when he sold 70 Marlborough to Robert Henry Eddy, he added the six inch strip of land to that lot. On March 2. 1868, 72 Marlborough was purchased from Charles Kirby by attorney Alexander Strong Wheeler. He and his wife, Augusta (Hurd) Wheeler, made it their home. They previously had lived at 34 Mt. Vernon. Alexander Wheeler died in April of 1907. Augusta Wheeler and their daughter, Helen, continued to live at 72 Marlborough. Augusta Wheeler died in August of 1922, and Helen Wheeler continued to live at 72 Marlborough until her death in March of 1932. On November 16. 1932, 72 Marlborough was purchased from the estate of Helen Wheeler by Flora L. (Enright) O’Keefe, the wife of Philip T. O’Keefe. They previously had lived at 81 Broadway. 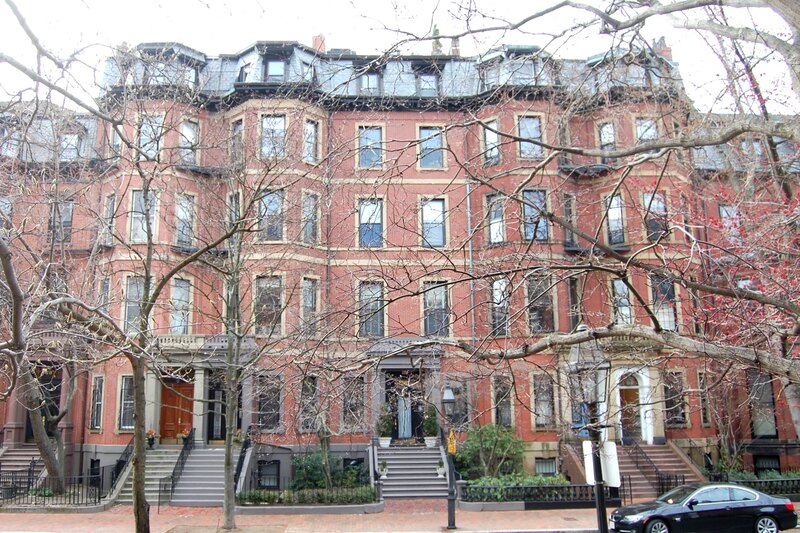 Philip O’Keefe was an interior decorator and president of Piedmont House Interiors at 2 Newbury. The O’Keefes operated 72 Marlborough as a lodging house. Among their lodgers from about 1933 was Mariana (McCarron) Low, widow of Soren F. Low, a literary editor with the New York Times and Boston Transcript. Mariana Low was a research scientist in astronomical spectroscopy, working in collaboration with Dr. Percival Lowell and Dr. Vesto Melvin Slipher of the Flagstaff, Arizona, observatory. 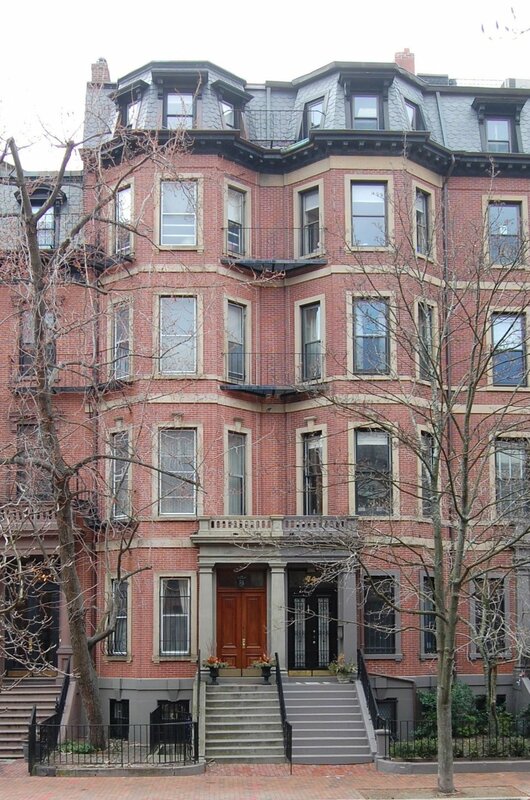 She continued to live at 72 Marlborough with the O’Keefes until her death in April of 1936. From about 1936, Flora O’Keefe’s parents, Charles W. Enright and Frances (Stevens) Enright, lived with the O’Keefes at 72 Marlborough. Frances Enright died in 1936, and Charles Enright died in February of 1940. The O’Keefes continued to operate 72 Marlborough as a lodging house in the 1940s. Although it was licensed and operated as such, including receiving inspections from the building department, it appears that the legal occupancy never was changed from a single-family dwelling. Philip O’Keefe died in August of 1948. 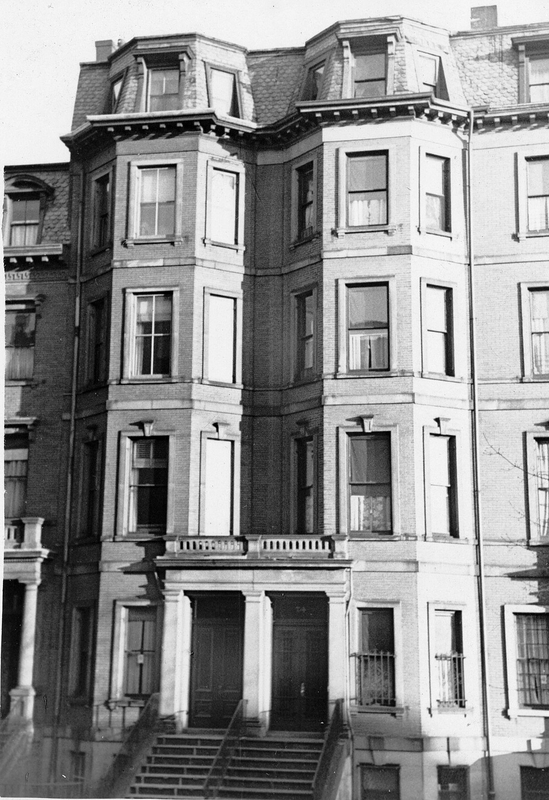 Flora O’Keefe continued to live at 72 Marlborough and operate it as a lodging house until her death in February of 1973. After Flora O’Keefe’s death, the 72 Marlborough was inherited by the O’Keefe’s adopted son, Geno (Gino) R. Rossi. He continued to operate the property as a lodging house. On October 1, 1984, Matthias B. Donelan bought 72 Marlborough from Geno (Gino) Rossi. He remodeled the house as a single-family dwelling. On May 31, 1996, Robert and Laura Henderson purchased 72 Marlborough from Matthias Donelan. They remodeled it and converted it into a two-family dwelling. 72 Marlborough remained a two-family dwelling in 2015.